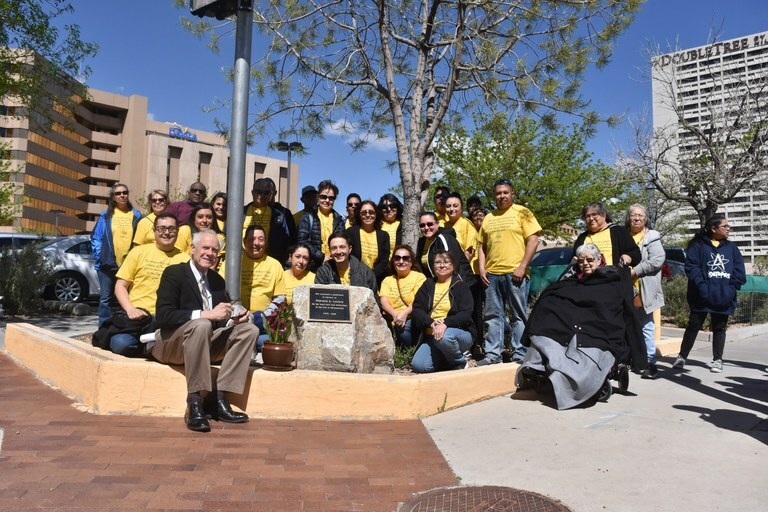 City Councilor Isaac Benton, joined by the family of Theresa Lucero, dedicated a memorial at the intersection of 4th Street and Marquette Avenue in honor of Ms. Lucero. A dedicated City of Albuquerque employee for 28 years, Ms. Lucero suggested the diagonal crosswalk at the intersection leading to Civic Plaza. “Diagonal crosswalks are a simple way to make cities more walkable and pedestrian-friendly. Theresa Lucero was ahead of her time, and I appreciate the family wanting to memorialize her and recognize her contribution,” said Benton.